PROVIDENCE [DEM news release] -- The Department of Environmental Management announces that several amendments to state onsite wastewater treatment system (OWTS) regulations have taken effect. The changes are designed to protect coastal salt ponds and provide relief to property owners by not requiring the replacement of treatment systems as part of modest home improvement projects. The amendments follow a series of discussions initiated by Rep. Donna Walsh (D-District 36), who formed a taskforce of local community officials to study the issues. Most of the changes were prompted by requests from the town councils of Charlestown, South Kingstown and Westerly, representatives of the state legislature, and builders. The first amendment extends the deadline for replacing non-failing cesspools near the coastline or other tidal waters to January 1, 2014. In addition, the rules extend the deadline until 2020 for replacing non-failing cesspools in areas where sewer extension projects are planned, consistent with the revised Cesspool Phase-out Act of 2007. Most cesspools in those areas may remain in service until the sewers become available. The second amendment eases rules that previously required homeowners with older wastewater treatment systems to install expensive new de-nitrification systems if they proposed additions to homes located near the South County salt ponds. 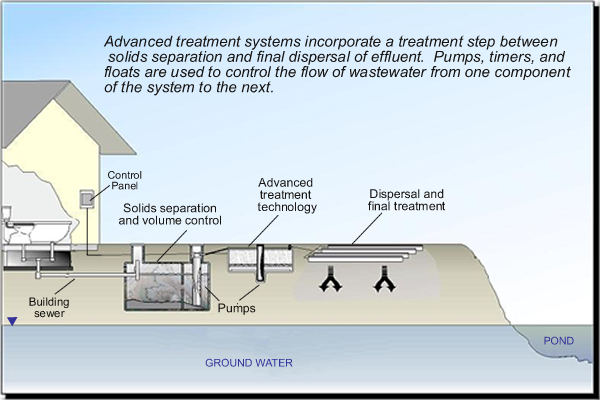 This change applies to construction or renovation projects on properties with functioning septic systems located within the Salt Pond and Narrow River Critical Resource Areas. As a result, construction projects that propose an increase of up to 600 square feet of interior living space, including footprint changes that do not encroach on the existing septic system, do not trigger the requirement to install nitrogen-reducing technology. An upgrade can cost upwards of $25,000, and reportedly has stymied many home improvement projects. 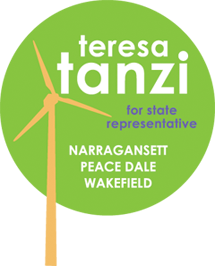 "Representatives Walsh, Tanzi and Azzinaro and elected officials from several South County communities expressed the concerns of builders and property owners in South Kingstown, Charlestown and Westerly who faced costly upgrades to their wastewater treatment systems if they proposed modest expansion of their homes, and we responded," said DEM Director Janet Coit. The 600 square-foot threshold provision expires on November 1, 2014. The provision applies to the addition of a floor level or portion of a floor level, any expansion of building footprint, or any substantial improvement located within a 100-year flood zone. The sunset provision allows for three construction seasons and provides ample time for homeowners to initiate building renovation projects. "The Rhode Island Builders Association is glad to see DEM provide a temporary reprieve on a regulation that was hindering property owners from making alternations to their homes," said RIBA's Executive Director John Marcantonio. "Before the regulation reverts back on November 1, 2014, we hope a more permanent solution can be found. We thank DEM and all active parties for working on this issue and look forward to continuing to work on that solution." Also, the amendments create additional mechanisms to streamline the technology approval process for nitrogen-reducing technologies. The rule change was made to attract and encourage the use of newer and less-expensive nitrogen reducing technologies in Rhode Island. Vendors may avail themselves of the streamlined process if they can demonstrate their technology is certified under the NSF/ANSI Standard 245, or if the technology is approved in another state with an equivalent review process and nitrogen reduction standard. DEM no longer requires such technologies to be re-evaluated to gain state approval. In addition, requirements for exploring experimental systems have been modified to encourage manufacturers with promising technological innovations to test their systems on actual installations in Rhode Island. The number of installations allowed for each experimental technology remains limited until actual performance data is collected and performance targets are confirmed through third-party testing. Homes with cesspools have more stringent criteria and the rules applicable to these properties have not changed. 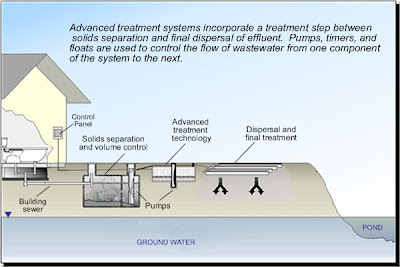 The wastewater task force members broadly support the continued elimination of cesspools as a priority goal. "By working cooperatively with the legislators and municipal officials, we were able to draft a revised set of regulations that are less burdensome to property owners in the critical salt pond management areas and will hopefully lead to better, less expensive technology solutions in the future. The changes to wastewater treatment rules should also provide a boost to the local construction trade and create jobs for builders, suppliers, support professionals and other building and remodeling contractors," Director Coit added.